I'm an editor and writer with over 15 years of experience in producing content for print and online. For a complete resume, or to ask questions/give compliments/trade jokes, please contact me using the envelope icon at the upper right of this page. Selected articles written for Take Magazine. Click on an image to see the entire article. For a higher-resolution look, please download the pdf. I wrote the third annual "Artists to Watch" feature highlighting the talents of ten up-and-coming creatives. The artists were nominated by New England's top curators and museum directors. This "quick take" introduced readers to the non-binary artist Ria Brodell, who I spoke with about their Butch Heroes project. Take covered the cutting edge of culture, but I knew our readers would adore these astonishing, 130-year-old photographs of snowflakes — and the story of the farmer who captured them. 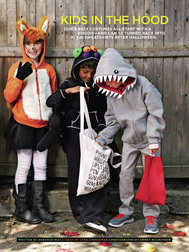 Selected writing samples from FamilyFun Magazine. Click on an image to see the entire article. For a higher-resolution look, please download the pdf. 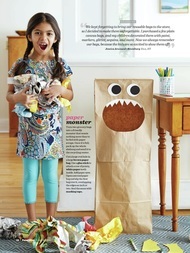 For Earth Day, I collected and developed eco-friendly ideas and crafts that kids would really want to make and use. I also solicited ideas from readers, and edited the best of the bunch for inclusion in the piece. In the August, 2015 issue, FamilyFun unveiled an updated design. For the Create section, I developed new columns that reinforce the magazine's position as the top experts on children and creativity. I interviewed and photographed a local, eco-friendly dog groomer for the online magazine Innovate413. I wrote about TV producer David Starr's journey to the vending machine business for Innovate413. 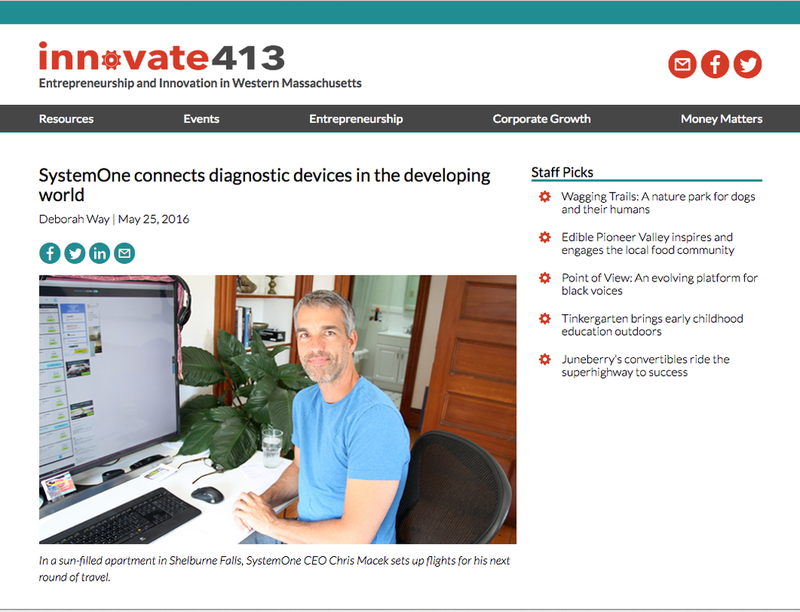 I explained SystemOne's highly-technical work in medical diagnostics for Innovate413. Jeff Wagenheim pitched a humorous, real-life first-person essay about instituting regular family meetings, testing out related advice from various experts in the field along the way. I worked with him to create a framework for organizing the article and sidebars, as well as reducing the original word count significantly. ​As an editor, I collaborated with author Catherine Newman and five experts in creative thinking to produce a feature about raising creative children. The article went on to win a Folio: Eddie award for best feature in the parenting category. At FamilyFun, I collaborated with many wonderful crafters and bloggers to come up with ideas. Some of the projects were dreamed up and developed by me. Here's a Pinterest gallery of my craft ideas that made it to print.